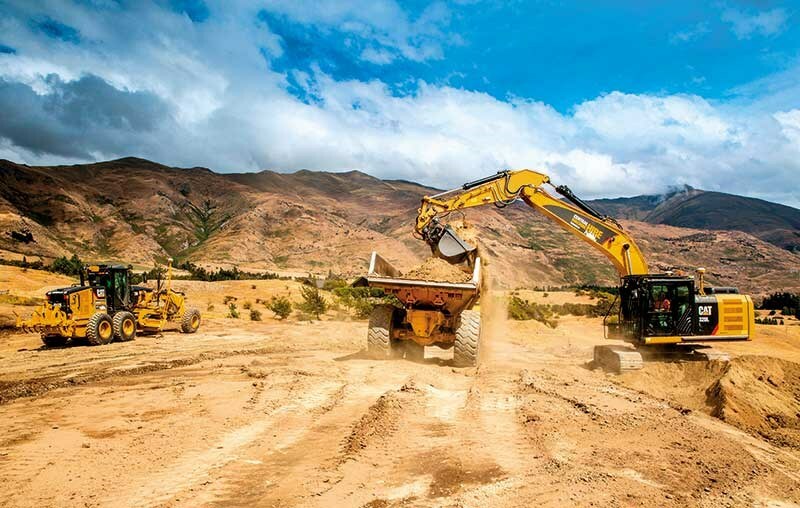 The Queenstown Lakes District can be a tough environment for a civil works company. The extremes between very dry summers and very cold winters can be very demanding and remote locations in mountain and back country which can be prone to slips, rock falls, and flood damage provide an interesting and technically difficult range of work. There is also a vibrant fast growing local economy which means plenty of work in construction, subdivision and new infrastructure installation. Wanaka-based Central Machine Hire rises to the challenge by operating a large range of heavy plant and transport equipment, enabling them to provide an unequalled range of specialist services, which include residential and commercial subdivision construction, services and fibre installation, bulk earthworks, rural contracting, heavy transport and craneage. "Basically there’s nothing we won’t tackle and give a go," says owner and director Allan Dippie. "Our very skilled and long term operators, plus our variety of gear, means we get called in to all sorts of unplanned situations as well as enjoying a very full order book of regular contracts." Central Machine Hire has its roots in a single Cat bulldozer operation founded by Kevin Capell over 40 years ago. The company now operates more than 70 items of heavy plant and equipment and 50 fulltime drivers, operators, installers and project managers. Capell is still with the company and still a great fan of all Cat products. "We are what you would call a ‘long-term’ Gough’s customer," says Dippie. Cat continues to be the number one brand across Central Machine Hire’s large fleet, which includes a large array of Cat excavators from three to 30 tonne, a D6 and a D9 dozer, two 627 wheel tractor-scrapers, a 12G and a 12M motor grader, two CS56 rollers, a 972K loader, a TH414C telehandler and even a dedicated Cat 613 mega water cart for dust suppression. Excavators are the mainstay of Central Machine Hire’s business. Prior to this year, the company’s largest units were 12 and 20 tonnes because the transport is easy and the machines are versatile. However the recent addition of a new Cat 329EL equipped with full Accugrade has been quick to prove its worth productivity wise and that’s got the company considering adding more large excavators to its fleet in the future. The biggest game changer for the civil works company has been technology such as Accugrade and Trimble GPS systems. The company began by converting and equipping its existing D-series excavators with Trimble. Today it has GPS in its dozers, scrapers, excavators and graders, making them a completely ‘peg-free’ operation in all applications from bulk earthmoving to final trim. New equipment (particularly excavators) are purchased with full Accugrade systems. 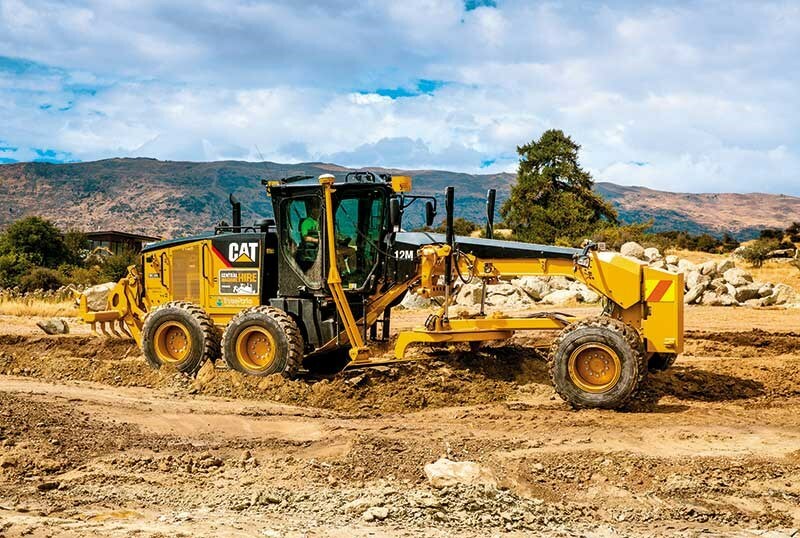 "Of course it’s a big capital investment, but Cat makes it easier with product that is Accugrade ready," Dippie comments. "Goughs supplies the complete system turn-key." The company has recently acquired a new 12M grader with full Accugrade and is impressed by what the machine can now do. The newly upgraded machine quickly showed its value on its first job by grading a new sports field to fine tolerances, fully automatically. The grader is now capable of being the first machine on a job doing basic set-out and the last machine out doing the final trim. "Our operators love machine control," general manager Jason Winder confirms. "Even the most traditional of operators have quickly adapted. None of them would be without it now." The greatest gain the company has observed has been in financial savings and efficiencies. Set-out and surveyor costs are reduced. The time taken and the fuel burn to achieve a job using GPS is significantly less whilst at the same time accuracy is improved, with no risk of over excavation. 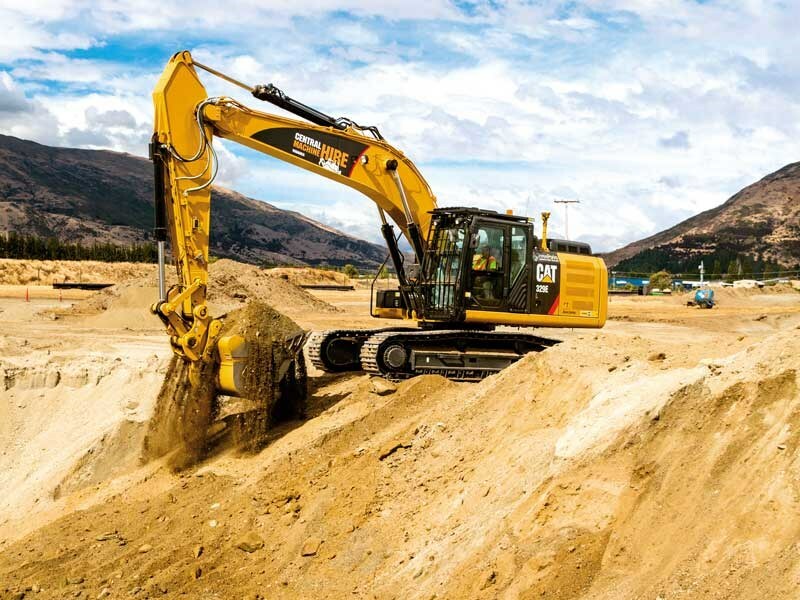 Caterpillar says it is the only machine manufacturer that offers a fully integrated, factory-fitted grade control system for excavators. 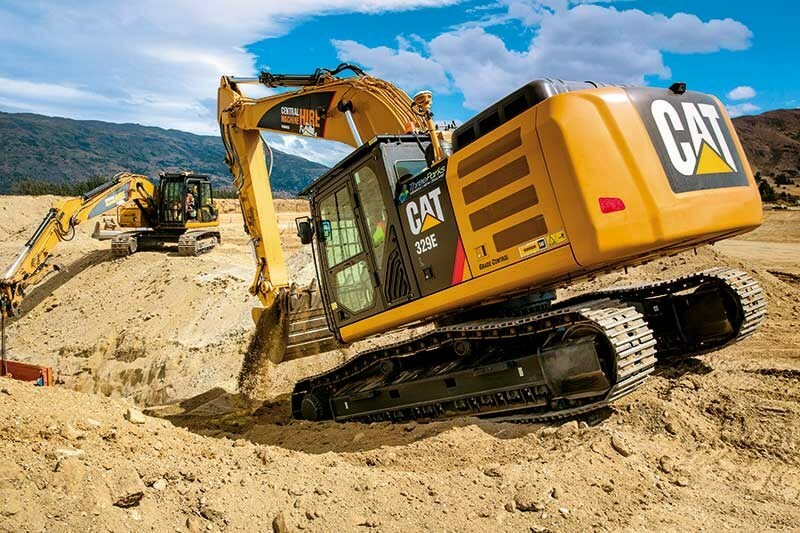 Cat grade control is also available on Cat dozers, graders, scrapers, soil compactors, asphalt rollers, and pavers. Cat grade control systems are designed and manufactured as a single optimised system. Wiring, brackets, sensors, displays, electronics, and electro-hydraulics are embedded within the machine systems. As is expected from Cat, the system is built to operate in harsh environments to withstand severe vibration, shock, extreme operating temperatures, humidity, corrosion and excessive dust. The addition of position sensing hydraulic cylinders on Cat excavators, graders, scrapers and dozers take grade control to a new level of accuracy and performance. Sensors are safely located within the cylinder itself. The speed and accuracy of in cylinder measurement mean that Cat is able to measure and control the position of a cutting edge with a precision and reliability above anything else in the market. "The uptake of machine control technology in New Zealand has increased hugely in recent years," says John Overhill, product manager at Goughs. "Contractors across the country are adopting it in droves and the question is no longer should we move to machine control. The question is now how do we best adopt the technology. The answer is simple. Gough Cat provides the best total solution in this space by a long shot." "There is no way we could be without Accugrade technology now," Dippie reflects. "In fact, we wouldn’t even be competitive or able to contemplate a lot of the contracts we now do." 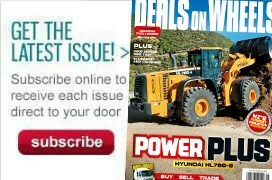 Read the full article in the latest issue (#270) of Deals on Wheels magazine. Subscribe here.